This is a global term for classical Japanese martial arts movement used on the battlefield in ancient Japan and during the “Sengoku” warring-states period. Included are specific ways of positioning the body, attacking, receiving that lend itself to joint-locks, throws, chokes, striking and use of weapons. Taijutsu is the operating system of martial arts movement. 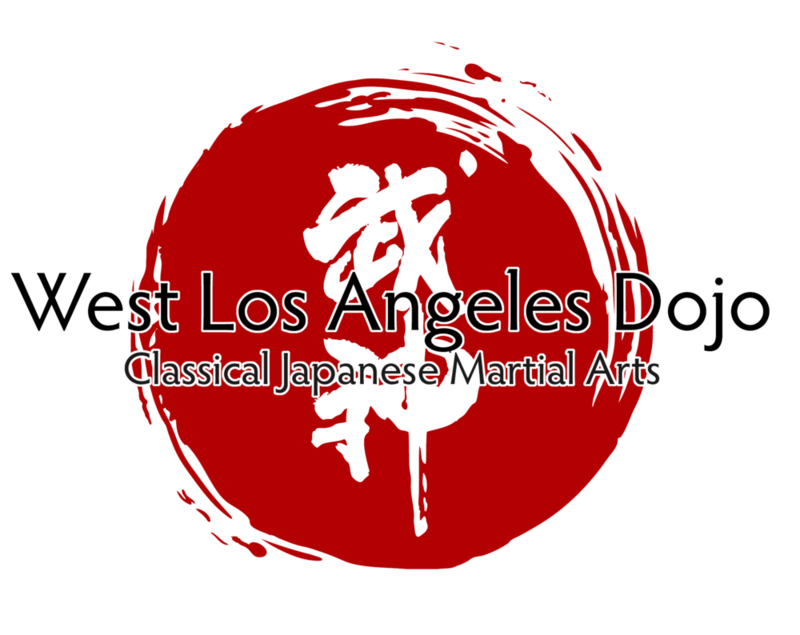 At the West Los Angeles Dojo, taijutsu is practiced and refined through every aspect of the training, ranging from empty-hand through all the various weapons studied. Literally translated as “Bone Finger Skill”, the meaning gives the image of having the ability to attack specific weak points (kyusho) on an opponents body, as well as needing to use only the strength of one finger in order to topple an enemy. is the method of directly and efficiently attacking the enemy’s structure, which includes several ways of confounding the nervous system in order to affect the opponents balance and equilibrium by incorporating use of kyushō (vital points). From the practitioner’s point of view, this includes the method of aligning one’s own structure in such a way as to use little or no power in order to defeat an opponent. is the method of attacking an opponent in such a way that you disrupt their structure. The classification of “Daken” eludes to attacking with the fist/feet, and within this skill-set the student understands strategies of combat that include the ability to strike the opponent limbs and body with the understanding that the you/your opponent is wearing body armor. 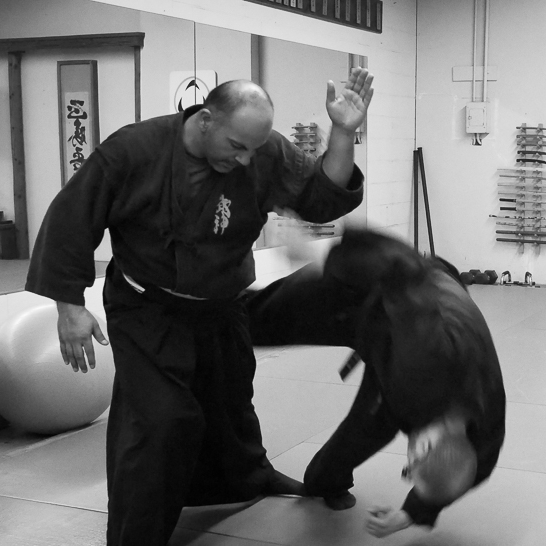 is a method of close combat for defeating both armed and armored opponents by manipulating the opponent’s force against themselves rather than confronting it with one’s own force and has a relation to classical Japanese jujutsu. is the strategy and tactics of unconventional warfare, guerrilla warfare and espionage practiced by shinobi (commonly known outside Japan as ninja). Ninjutsu as a separate discipline in some traditional Japanese schools, which integrated study of more conventional martial arts (taijutsu) along with shurikenjutsu, kenjutsu, sōjutsu, bōjutsu, to name a few. can be translated as “the way of the shinobi”, which includes mental and spiritual cultivation guiding the practitioner to correct action and mental focus and self-awareness within the practice of martial arts. can be translated as “eight/infinite ways of the hidden/secret sword”, becomes the universal understanding and relationship between movement and weapons and can be exemplified by the phrase “Ken Tai Ichi Jo 劒体一条” (the sword [weapon] and the body are one).